Geo-targeting marketing is a hot and cost-effective trend in the ever-changing world of digital advertising. 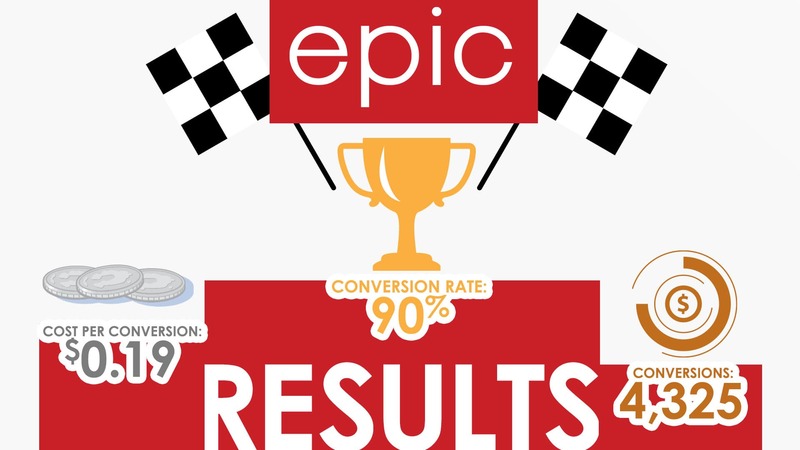 Epic Productions took this strategy for a test drive, presenting a geo-targeting marketing case study for a mobile-centric marketing campaign initiative. 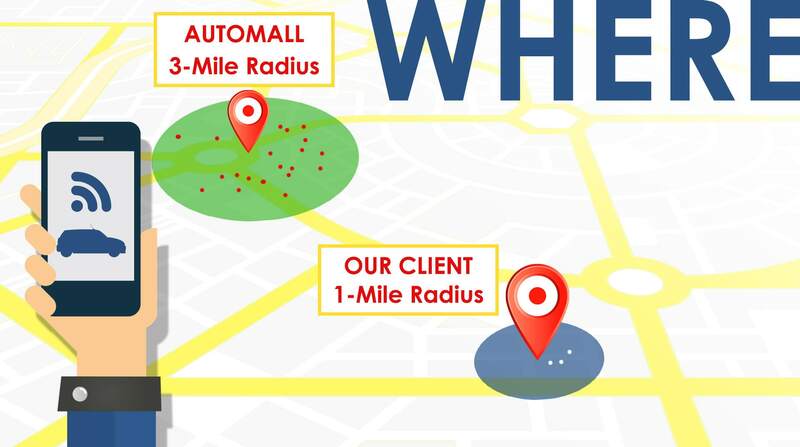 You will see how we strategically, yet geographically, target potential customers based on their location. Being at this certain location can trigger your campaign whether it is a banner or a video advertisement; it’s a very strategic approach for brick and mortars that lack one of the three property values: location, location, location. Essentially, geo-targeting is creating a virtual fence around a particular physical location and targeting all of those that have visited or plan to visit it in the future. It’s like standing in front of a competitor’s doorstep passing out flyers, without getting the authorities involved of course! If location plays an important role to your brand then this strategy is for you. Geo-targeting marketing campaigns make sense if you’ve ever used your smartphone for GPS purposes. Smartphones “ping” consumer’s locations more than we are aware of. Search your favorite restaurant and you can observe their peak hours and most popular times they are frequented. Geo-targeting campaigns are search engine marketing campaigns trigged when someone visits a physical location but also when a person shows interest in visiting a location. • Terms used in searches that indicate a location. • Past searches that indicated a location of interest. • A person’s past physical locations. • The content and context of a website where an ad is displayed. • Searches on Google Maps or Google Maps for Mobile. GPS: Accuracy varies depending on GPS signal and connection. Wi-Fi: Accuracy should be similar to the access range of a typical Wi-Fi router. Google’s cell ID (cell tower) location database: Used in the absence of Wi-Fi or GPS. There are multiple ways to target a customer when it comes to digital marketing including websites customers frequently visit, topics of interest, keyword searches and most recently, their location. Some of the marketing strategies are saturated, for instance, the “near me” search. It was a great approach in the beginning however as popularity picked up, so did biding on this term. According to Google, mobile makes up 88% of all “near me” searches, with those mobile searches growing at 146% year over year. Geo-targeting marketing works much like “near me” searches, geographically targeting potential customers at a fraction of the cost. In this particular case (study), we’ll take you on a test drive so you can see how geo-fencing can assist your campaign efforts. One of our dealership clients has always utilized broadcast television to attract more customers, rightfully so; their competition located at an Auto Mall does the same. Attracted a New Customer Base | From these particular geo-fencing marketing efforts, it attracted a different demographic than anticipated. Past efforts targeting auto enthusiasts were generally males in the 35-44 age bracket. In this case, we promoted the least expensive “monthly special” our client was running for the month (a new car for $9,999). We found that by doing so it attracted 16% more females than males and 27% of which can fall in the inexperienced category of buyers who range in the ages of 18-24. Timing is Everything | Along with location, timing is everything. Since we’re being strategic, it’s important to be there when needed and have the funds as well. 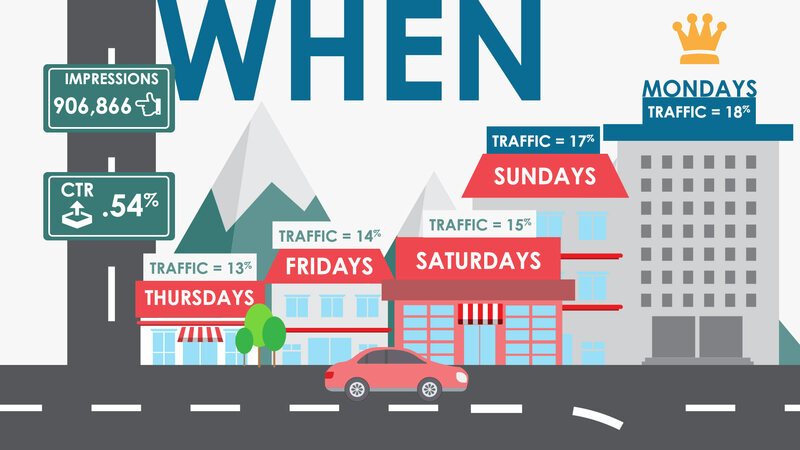 What we gathered with this geo-fencing campaign is that the peak times for automobile searches ranged from 9AM-5PM, with 11AM leading to the most clicks. However, the best conversion rates consisted late at night, 10PM to midnight and spiked again around 7AM. Most Cost-Effective Targeting Method Thus Far | Comparing geo-fencing marketing to other campaign targeting methods, we found it was least expensive per click because no competitors were bidding on this inventory or this strategy. We’ve bid on the search term “Auto Mall” before and it was costly due to the supply and demand. This means that other dealerships have bid on this keyword before and are will usually pay up to $2.00-$3.00 per click, depending on their budget. Targeting by interests is also another targeting strategy, however, not always the most cost effective and precise. Crossing the Finish Line | Overall, we found geo-targeting marketing to be the most cost effective method because competitors have yet to saturate such an inventory, therefore leading to a successful ROI (return on investment). From these findings, we then utilized video to retarget these customers. This video campaign performed at the lowest cost-per-view and longest view rate we’ve ever observed! As long as you have a physical location, it’s something that is worth taking advantage of before supply and demand has the chance to fluctuate costs and ultimately saturate the market. Targeting trendy hotspots as a location of interest is heavily assisted in the phenomenon we know as Uber. This ultimate personal chauffeur app first promoted their services by targeting customers based on places where they would go throughout metropolitan areas. Uber then strategically places drivers within locations of interest and piggy backs on locations promoting efforts. 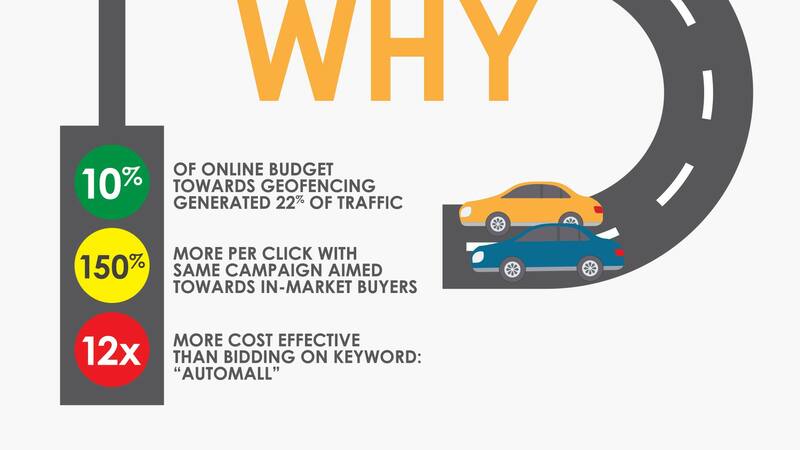 Other than car dealerships utilizing geo-targeting marketing. Good for establishments and businesses that are new to the neighborhood. Attract those who frequent or are new to the area. Generate new leads to your booth at a conference or event. At the end of the day, if you haven’t looked into Geo-targeting and you have a physical location, it might be something you may want to take a second look at and take advantage of early on. If you’ve ever ran a print campaign, targeting areas such as a “Every Door Direct Mail” (EDDM) campaign, you’ll gain immediate results on how well certain areas respond over others at a fraction of the cost. Geo-targeting also serves as a great retargeting measure for outdoor advertising, check out this campaign where we used geo-fencing marketing to retarget those that saw another client’s billboards on the their commute to the office.